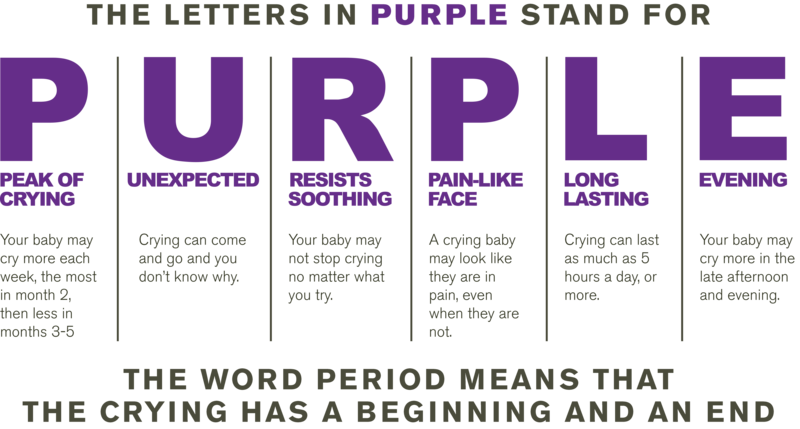 Previously referred to as colic and treated as if there was something wrong with the baby, PURPLE crying was a way to help parents understand this period in their baby’s life as a normal part of every infant’s development. As our pediatrician explained it, Isaac took in stimuli all day long and at night he needed to release that stimulation in a big, emotional cry. I remembered this trying time of parenthood a few days ago when I sat down to meditate for the first time in many months. My daily meditation practice faltered because I decided I preferred to use my quiet morning time to write. But then life handed me some change and new challenge. Our beloved 14-year-old German Shepherd lost the use of his hips and after a few months of trying to help him live with dignity, we decided we had to put him down. In the midst of this, my 45-year-old body presented me with changes to which I’ve had a difficult time adjusting. It was the holidays, so I coped by eating and drinking too much. My exercise routine also faltered. Finally, while trying to run on the treadmill at the gym I noticed that my insides felt all jumpy and wrangly. This is how stress feels to me—like my insides are filled with Mexican jumping beans. I should get back to meditating, I told myself. 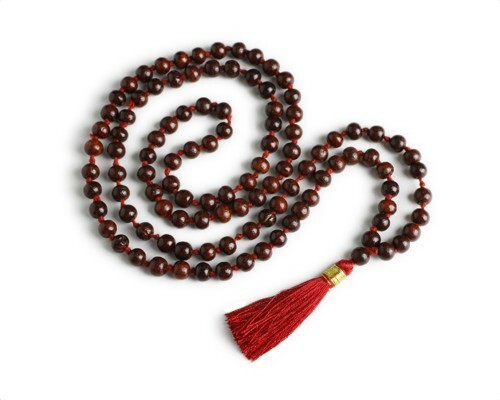 That night, after the kids had gone to bed, I sat and breathed through one rotation of my 108 mala beads. (Mala beads are great for meditation, by the way. Read more about them here. Watch a video about how to use them here.) It was a fruitful meditation, because what arose as I sat quietly with myself was all the emotion I had been avoiding, emotions I finally could identify during this time of meditation as anxiety, sadness, frustration, grief. All this had been welling up inside of me, but I had been disregarding these feelings in my effort to just…keep…going. One of the most valuable lessons I have learned from meditation is how sitting with ourselves and honoring what is happening within is essential for healing and spiritual wholeness. The Buddhist practice of sitting with your suffering has become very valuable to me. My emotions, like the ocean tide, need space to rise and flourish before they can ebb and recede. Too often, though, I avoid these uncomfortable emotions and go to great lengths to push my suffering aside. Like an infant’s period of PURPLE crying, the emotions that arise within us are a natural part of the human experience and should be respected as such. By honoring what is within me, by attending to even the most painful of emotions, I’ve discovered that their power over me diminishes. What about you? What is within you? What have you been avoiding? And what might happen if you honored and attended that which is within?